Soothes skin irritations and reduces sensations of discomfort. Its cleanser is made up of micelles (tiny spheres of oil) that leave your skin feeling fresh, rid of impurities and traces of make-up, while alpha-bisabolol a soothing agent, guarantees soft relief. The skin is perfectly clean and toned, ready to be moisturized. An essential part of your beauty routine! 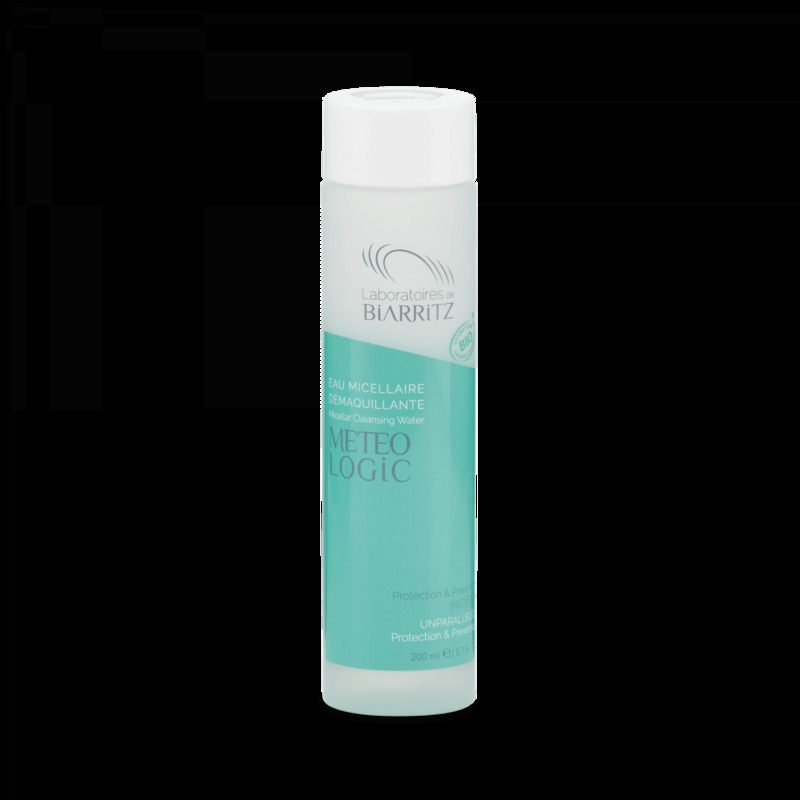 Our Micellar Water is most effective when used in combination with the other METEO LOGIC skincare products. "Removes make-up and gently refreshes without disrupting the skin, just perfect!" Apply carefully with a cotton swab on the face and eyes. Renew application until swab is clean. METEO LOGIC® Micellar Water especially formulated for the face and eyes, brings together cleansing efficacy and gentleness for the skin. An all-in-one, it cleanses, soothes, and refreshes your skin.